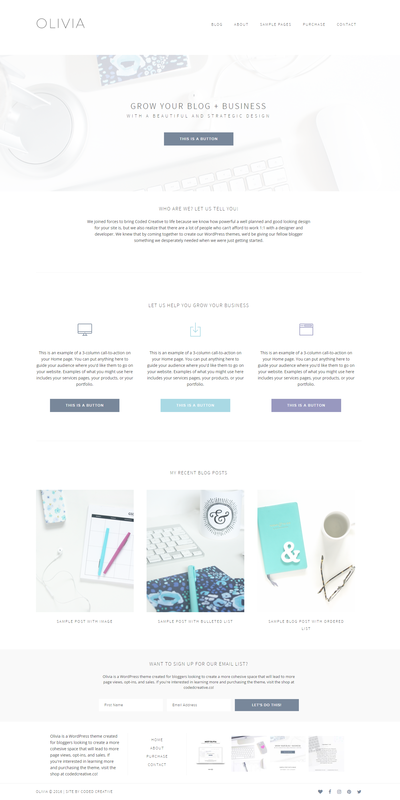 Olivia is a gorgeous theme that Kory and I made for our shop, Coded Creative. Kory spoiled me, once again, with a gorgeous theme to develop and this project was so much fun! With Olivia, we focused on creating a theme for those who wanted their site optimized for list-growth. That meant we wanted some highly-visible opt-in areas and specialized page templates. There was nothing particularly tricky about the development of Olivia, but I did pay special attention to the way things were coded. With a pre-made theme, it's important for the theme to be flexible, while also making customizations as easy as possible. To balance that out, we have a mixture of widget areas and sections that can be customized in the WordPress Customizer. Development is absolutely not my thing. 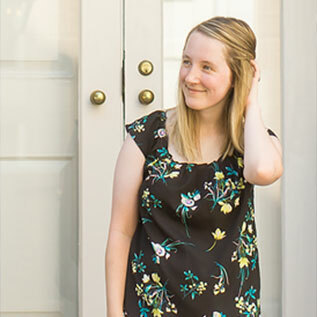 I love working with Krista because I finally have the freedom to create really beautiful and creative designs that my clients will love and know that it’ll actually be possible because I have an amazing developer to let take control instead of spending hours trying to figure it out myself. 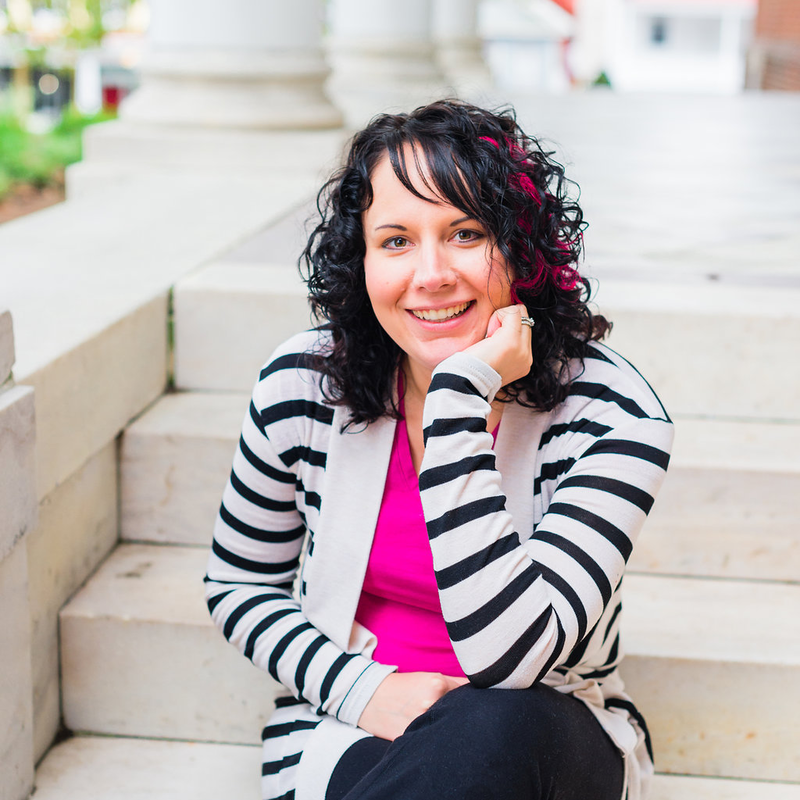 Plus, I love that she’s able to handle tech stuff in a way that I can’t, so I know my clients and their websites are in great hands with her.